Meet Leon Davis born and raised in Pretoria, South Africa. Leon developed a very strong passion for cooking in his teens and by the time he was 16 years old, he had his mind made up on becoming a chef. Leon attended Africa’s most prestigious culinary institute Capsicum culinary studios, where he graduated in Chef Management at the top of his class with high honours. After interning in some of the most luxurious Game lodges in South Africa, Leon was approached by 7 times James Beard nominee Chef Enzo Fargione to come to America to complete an internship. 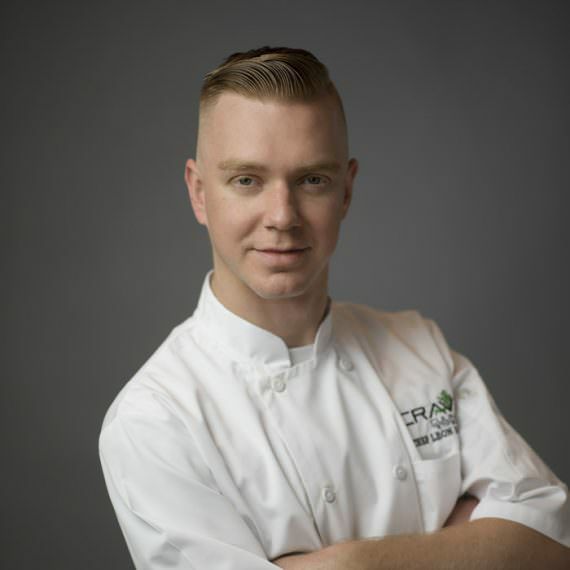 Leon flourished under the mentorship of some of the best Italian chefs in the USA and steadily developed himself into a young professional in the hospitality industry. When Leon is not creating culinary art, he enjoys boating, fishing, hunting and playing the guitar.